Indian Sponge iron industry, amid challenging market conditions is struggling. So far, it has retained the title of ‘World’s highest’. What lies in its future ahead, is the question. Although, India is the world’s 4th largest producer of Steel; it’s ‘the largest’ producer of Sponge iron in the world. The traditional route since 1985 for Steelmaking in India has been through furnaces that use Sponge iron. India hearths about 45 MnT installed capacity of Sponge iron production not in the form of one time huge investment but, in many small investments by Indian entrepreneurs. 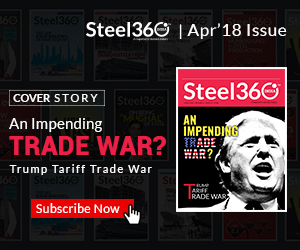 Without getting into the details of production figures (as they are available in Steel 360, December Issue) one can at least conclude, the industry that otherwise could’ve been a native source of Steel production (about 50%) today, is in a turmoil of scarce raw materials and government norms leaving no oxygen for it to bloom. 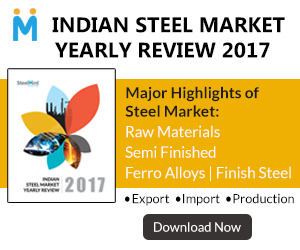 Steelmaking in India has always been about a mix of Sponge iron 80%, Scrap 15% and Pig iron 5%, heated in an economically budgeted Induction Furnaces to get crude steel; from various parts of country. Even if the proportion changes region-wise, a huge portion of Indian Steel comes out of the above mix. Unlike other countries, India has the largest unorganized market of Steel but maybe the future of this very Indian USP has now being challenged. Sponge iron is a metal produced from direct reduction of Iron ore by reducing gas produced from natural gas or coal with a metal content of about 85 per cent. Basic requirements such as Iron ore, Coal, Natural gas, Technology and Administrative cooperation are missing. With the falling production figures and weak sentiments, one can only hope if some reform can aid in the revival of this hallmark industry. Or maybe, the reforms themselves, are directing at a different future. It’s too early to say if the Sponge iron manufacturers should divest from the business and invest elsewhere, like Pelletisation, rated as the next big change in the world of Steelmaking. 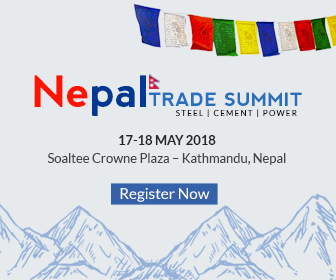 Going further in time, there has also been a grapevine that, somewhere far in the future India might end up consuming Scrap alone like other nations such as Turkey in its quest to become reduce, reuse and recycle steelmaker. Perhaps, in the coming years, India is to see huge interventions in changing dynamics of Steel. Time is to tell, if the aftermath depicts a journey from a vast group of unorganized players to a handful of large scale manufacturers, or a victory of the small manufacturers.